For more information on social entrepreneurship, watch the From Hero Entrepreneurs to Systems Change - The Future of Social Enterprise press conference from the World Economic Forum's Annual Meeting 2017 . It’s a growing movement across the globe, with the power to change societies and lives. In areas from healthcare to education, social entrepreneurs are using business know-how to help solve difficult problems. And these are the economies doing it best. The Thomson Reuters Foundation, along with Deutsche Bank, UnLtd and the Global Social Entrepreneurship Network, have released a ranking of social entrepreneurship in the world’s 45 biggest economies, which assesses the environment for social entrepreneurs. The United States takes top spot, scoring highly across all areas. Second is Canada, while the UK ranks third. As the map highlights, the top 10 has an international look: from Chile to South Korea, social entrepreneurship is growing across the world. Described as “the world’s first” expert poll on the subject, it explores strengths and weaknesses around the world. Twenty experts in each of the 45 economies were contacted. Questions included whether conditions are favourable for social entrepreneurs to start and grow their business, and the ability of social entrepreneurs to attract staff. You can view the full list here . 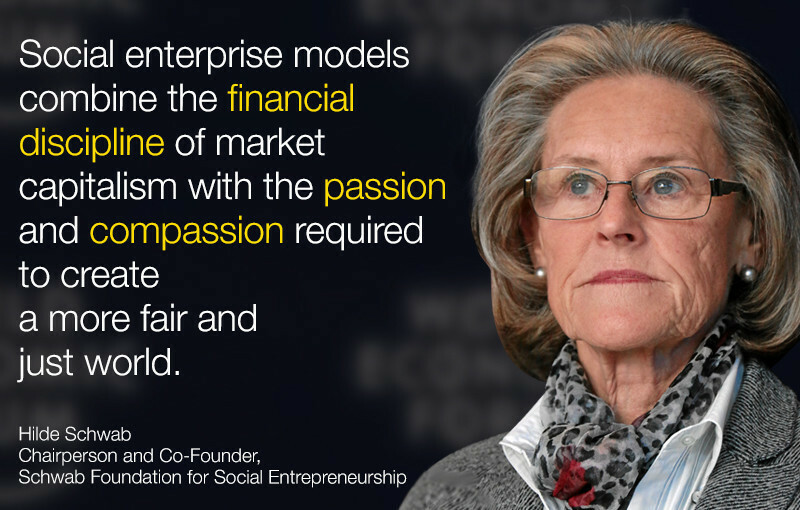 Combining standard business models to drive sales and revenue with passion and values, social entrepreneurship can help tackle the world’s problems. “Over the past couple of decades, a distinct, more entrepreneurial approach to alleviating the problems associated with poverty has emerged,” write Hilde Schwab, Chair and Co-founder, and Katherine Milligan , Director and Head of the Schwab Foundation for Social Entrepreneurship . Whether it's encouraging composting in India , IT training for unemployed, young South Africans , Fairtrade Ghanaian chocolate or a global programme to provide reading material digitally , social entrepreneurs break down barriers between business and charity, and use their passion and purpose to generate real change.